Tropical fish have long been crowd pleasers for many aquarium enthusiasts. With their bright colors, diverse shapes and varying sizes, many have come to realize there truly is nothing like having your own personal habitat to enjoy and observe. When it comes to tropical fish, Hikari® specializes in species-specific, science-based nutrition that encompasses eating habits, environmental conditions, palatability, natural nutrient sources and nutrient balancing. With a fish perspective beyond that of other fish food makers, we offer the highest quality tropical diets we humanly possible. Vibrant yet tiny packs of these small, schooling fish lend flare and constant movement to your waters. 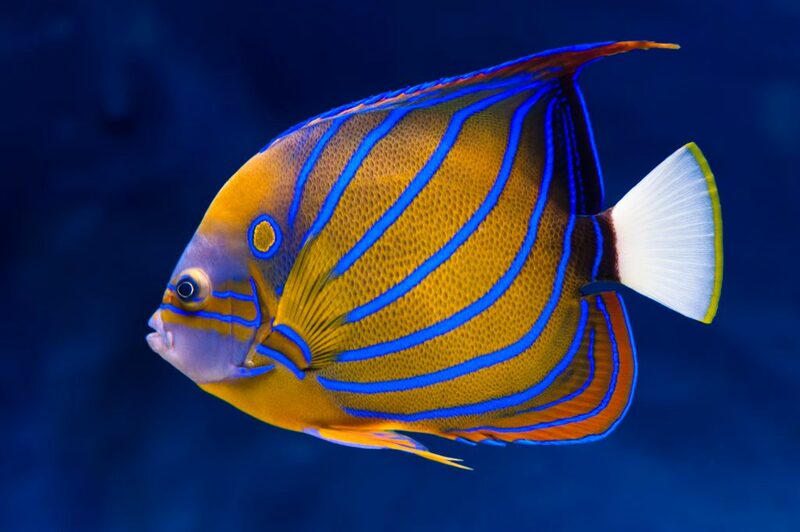 Always a crowd favorite, angelfish are popular selections based on their striking appearance and graceful movement. Not to mention they are immediate attention getters. Aptly named, these active swimmers come complete with pronounced black and white stripes. A natural peaceful fish, these gravel scavengers make great additions to any tank as they’ll help keep your waters clean by eating leftover food that makes its way to the bottom. These docile, metallic fish are most often found near the top of the tank in small schools. What’s your favorite? Hit us with your choices via our facebook, twitter or pinterest pages.